Extension tables, once synonymous with holiday dining, can also be the most practical and helpful part of everyday dining. A space-saver’s dream, our extension tables combine modern design, smart functionality and a variety of size options to create multi-functional table solutions—fit the whole family for the holidays then use an extension table as an extra work surface for mid-week projects or homework, the roomiest spot for game night, or additional space for food or serving pieces for smaller gatherings. What’s the best fit for your space? Take a look below. 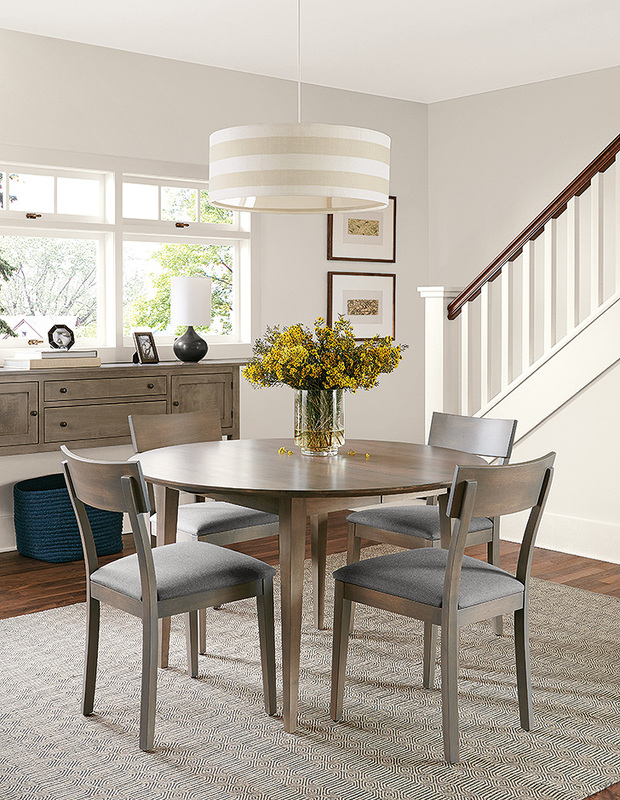 Our Lowell extension table is like the gift that keeps on giving. Two 22-inch leaves take the table from a six-person gathering to a 10-person party. Lowell is also available in a round design that seats four people (and six when extended). The clean lines of our Walsh extension table let the beauty of the domestically sourced wood shine through. Two 22-inch leaves make it easy to extend the table and seat four more guests. Designed to suit any space, the classic design of our Parsons extension table also maximizes your seating options. 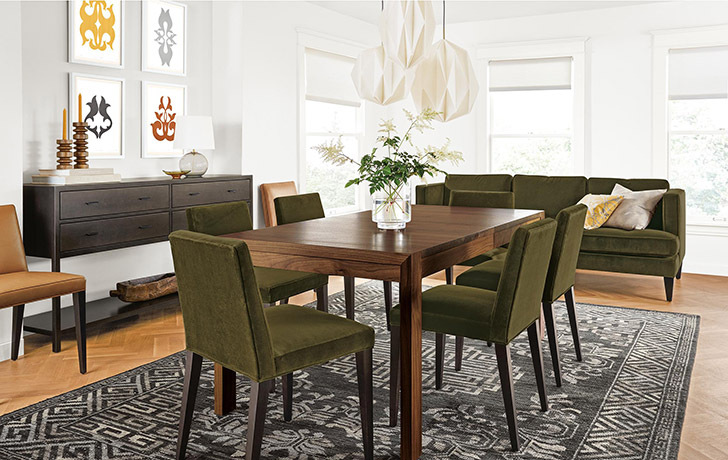 The tabletop extends past the table legs so it’s easy to add extra chairs around the edges. Bonus: You can choose from six wood tabletop options to get the look you love. Eliminate “where did we store the leaves? !” from your vocabulary with extension tables featuring self-storing leaves. 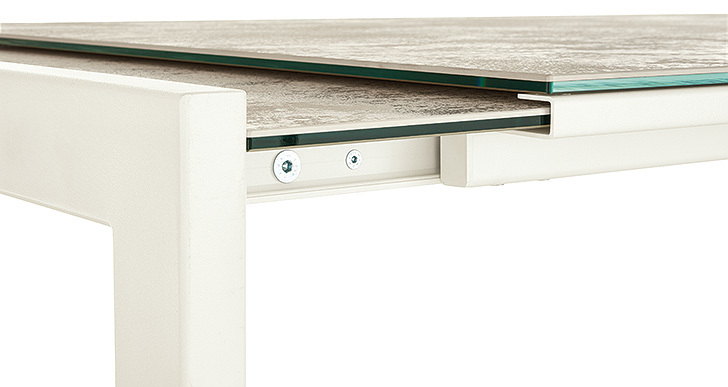 Our Ventura extension table features distinctive functionality to help you save storage space. Simply pull from one end of the table to extend it and gently raise the tabletop so it’s level with the rest of the table surface. Opla‘s crystal ceramic top features subtle texture and color variations. It’s also resistant to scratching, staining, chipping, water and heat. That’s a win-win…win-win-win-win-win. 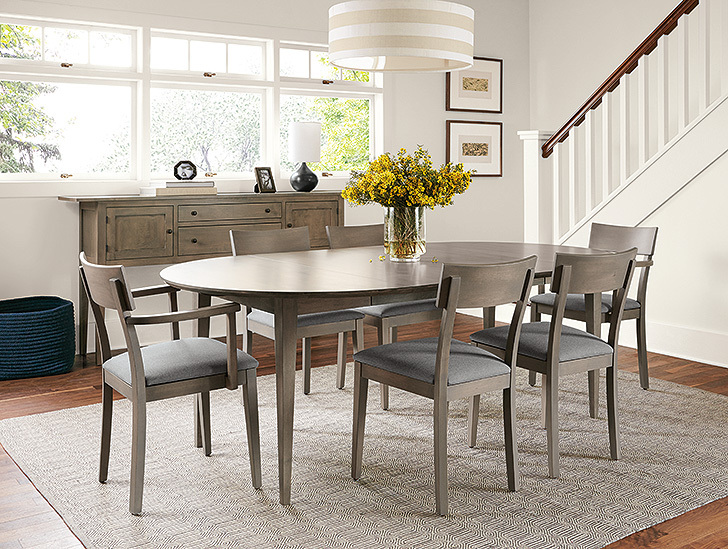 We love round tables for their space-saving designs, and our Adams round extension table is no exception. It has as smaller footprint than rectangular tables, making it a great option for condos, apartments or smaller kitchens. Depending on whether you include one or two of the leaves, the table can go from 48 inches all the way to 84 inches, almost doubling the amount of seats. 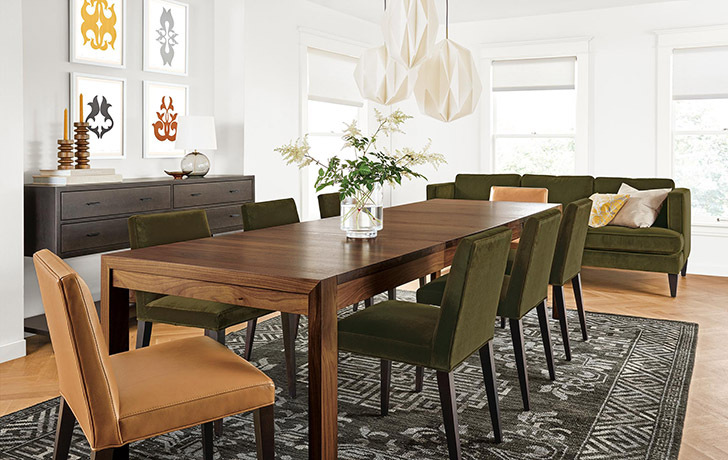 Shop all Room & Board extension tables here.